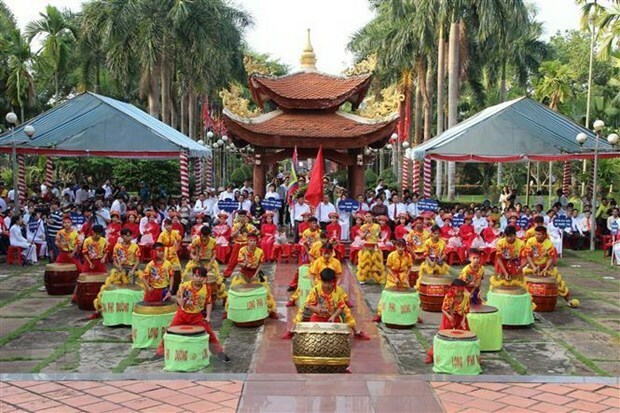 Vientiane (VNA) – The death anniversary of the Hung Kings, the legendary founders of Vietnam, will be observed in the Lao capital city of Vientiane on April 5-6. In an interview with the Vietnam News Agency, Pham Van Hung, Vice Chairman and General Secretary of the General Association of Vietnamese in Laos, said preparations for the festival, the first of its kind in Laos, have now been completed. The Vietnamese Embassy in Laos held a working session with representatives of the association and its chapters, businesses, and the Vietnamese community in the country. During the session, a working group of 22 people in charge of organisation, logistics, and communications for the event was set up, he said. The overseas Vietnamese (OVs) in Laos are excited and looking forward to the event, which is of great significance to their cultural and spiritual life, Hung noted. Echoing Hung’s views, Nguyen Duy Trung, Chairman of the association, said the festival will help strengthen solidarity among the Vietnamese community in Laos.